This is a tutorial and instructions on how you can unlock your Motorola Q700 Sidekick Slide by Unlock Code to work on any GSM network. The new Motorola Q700 Sidekick Slide has a 2.5″ screen with a 240 x 320 pixel resolution. The Motorola Q700 Sidekick Slide works with a 200 MHz ARM926EJ-S processor. The dimensions are about 119.4 mm in height, 61 mm in width and 17.8 mm in depth and weighs about 150 g. The Motorola Q700 Sidekick Slide has 128 internal memory and a microSD slot which supports up to 4GB. Cellunlocker.net is proud to announce we are unlocking the Motorola Q700 Sidekick Slide fast and easy. Cellunlocker.net is proud to announce we can Unlock the Motorola Q700 Sidekick Slide to any GSM Network fast and easy! Once you unlock your Motorola Q700 Sidekick Slide device, you can change to any GSM Carrier. 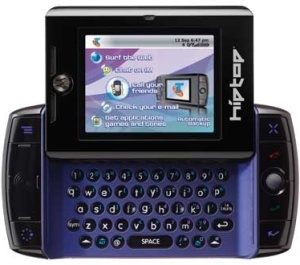 UNLOCK MY Motorola Q700 Sidekick Slide NOW! * There is absolutely no risk of damaging your Motorola Q700 Sidekick Slide by unlocking it.